Everyone wants to create a place where they can relax with their family and read a good book on the weekend. Maybe you've moved into a new house or have just hit a creative roadblock with your current one. Here are a few easy ideas to make your space a little more homey and special! Don't pack away your most loved items where no one can see them! You want guests to walk into your home and automatically know about the places and people you love more than anything else. We have pieces of our little man's art all over the house as well as some silly knick knacks we picked up on our honeymoon. No one else can have the same items and it's what puts a personal stamp on our home. Flowers can really help warm up a room. They make me feel like I have a beautiful garden (I wish!) and that I'm a cheerful June Cleaver, with everything in its place. I was a librarian for years and you can tell so much about a person just based on the books they read. We keep all of our books on a huge shelf in the living room. To kick things up a notch (or because I am insane) I also organize them by the color of their spine. It looks adorable but it also helps me find the books I'm looking for. I will remember the color of a book 10x faster than I will remember the actual name. This is a no-brainer but such an important part of your home. We lived in an apartment for weeks before I finally got around to putting up our photos. It instantly made the place "ours." Seeing the faces of people you love can make your house an area you love to be in. We create a lot of family collages and use an array of traditional frames and displays like this cuuuute one from Target. Keep a few throw blankets lying on the arm of the sofa or at the foot of the bed to provide extra warmth. I am constantly cold, regardless of the season, so I use ours all the time. Fluffy, soft, bright, or beige, it doesn't matter. 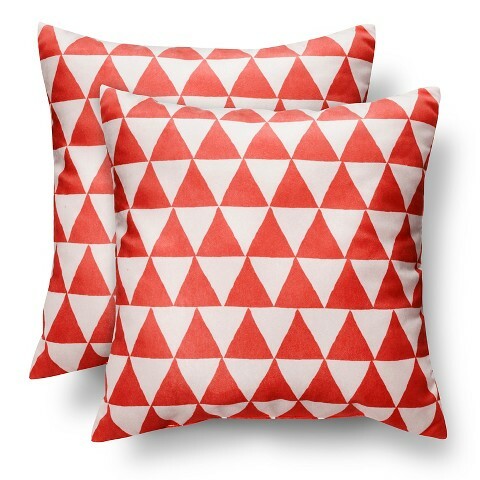 Pillows will make your living room just a bit more homey. I always shop at Target for these because I can usually find an affordable 2 pack like the one below. I'm loving the bright colors and shapes! Add a few spare pillows in the bedroom as well. My husband and I only sleep with one pillow each but we have at least four on the bed. It can really take a college student's bed and turn it into one for an adult. A pleasant smelling home is a welcoming home. I personally love brewing a fresh pot of coffee, early in the morning and throughout the day. I don't light too many candles with a baby in the house, but if I do I will use either a muffin or sugar cookie scent. Sometimes you just need to fake this whole perfect housewife thing. We are definitely foodies in our family, and while we like to eat healthy, we really just want to have a snack at the end of a long day. I try to keep banana bread or oatmeal chocolate chip cookies on hand. We were given after school snacks as children and I find that it feels comforting to have an after work snack too. Our home has functional beige carpet. Boring! We throw a small rug down in the living room and bedrooms to add a personal touch and make the rooms feel a little more welcoming. 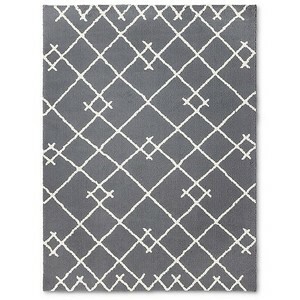 I personally like to choose relatively thick rugs like this gray one because it's comfy for the baby when he's crawling around. I swear the first time I ever bought a headboard I thought, "Oh now I am an adult!" There's just something about adding it that makes the whole bedroom really come together. And it doesn't have to be expensive! We had a baby on the way and no extra money to spare when we found a simple frame at Ikea. You can also try to make your own if you're feeling brave enough. Pinterest is crawling with DIY headboard projects. 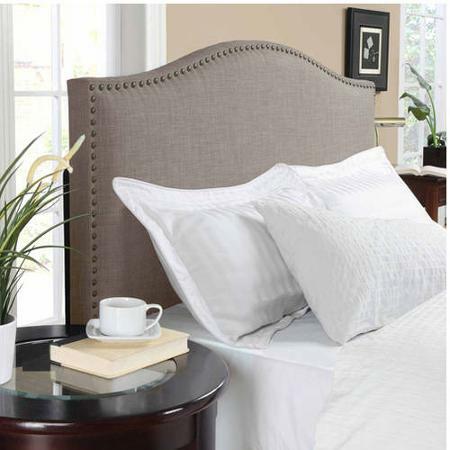 I also like this headboard from Walmart because you can just attach it to your bed frame. It makes it a very affordable upgrade! Both natural and man-made lighting is so important in a cozy home! There is nothing welcoming or comforting about an under-lit, gloomy room. I like to keep each area in the house with at least two lamps in addition to any overhead lighting. 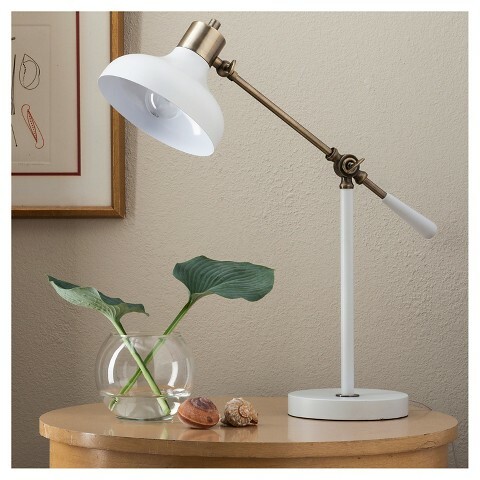 My desk has this lamp from Target and the quality is amazing for the affordable price. You don't have to spend a lot! I also use natural sunlight like it's going out of style. Keep things bright and cheerful! I know saying you should tidy up sounds like the opposite of keeping things cozy. But clutter only causes stress! I have extremely laid back in-laws but I still wouldn't want them to see a messy house. I keep my home "In-Law Ready" by making sure the beds are made, the bathrooms are tidy, and all of the dirty laundry is hidden. I also use these 5 easy tips for making the kitchen sparkly clean. It doesn't have to be a large sofa or take up a lot of space. Just grab a little corner and add your favorite chair to it. This creates a comfortable area where you can read or relax. I like to use it in the early morning when I'm not quite ready to sit at my desk but am afraid I will fall asleep if I stay in bed! We put up a sting of lights around our headboard (it's wood) during Christmas and liked it so much that it stayed there after the holiday was over. It gives such a warm glow to the room and even magically erases the tired look under my eyes at the end of a long day. I'll be honest in saying that I have the worst green thumb you will ever know. But I can keep a sturdy fern alive if you remind me to water it! A little greenery, real or fake, will pull everything together in a very homey way. Always remember that the best way to turn a house into a home is to incorporate the things you love most. If you love the Beatles, put their records on display. If you love to read, create a mini library in your living room. Use your own personal stamp in each room and you will create a space you love to be in.